Haiti has a higher reported incidence of cervical cancer than any other country in the world. It is the leading cause of cancer death in Haitian women. This is why initiating a cervical cancer screening program is be a major point of focus as two members of the Kay Lasante board, Kara Grant and Katie Huynh, visit Port-au-Prince in the first week of May. This is one of several trips each year made by our board members to support the staff with meetings, networking and training. The cervical cancer screening process in resource-poor settings, like Haiti, looks different than in developed countries. We will be introducing our staff to the VIA method (Visual inspection with acetic acid) as a primary screening tool. This method has been proven to be as effective as the pap smear. Just two screenings at ages 35 and 40 can reduce cervical cancer as much as 70 percent! During our trip we will be meeting with the staff at another health center, St. Luke’s hospital, to establish a relationship in order to have a place to refer our patients who screen positive. We also will be aiding the staff in addressing barriers to cervical cancer screening. This includes surveying the patient population to address such factors as transportation costs, lack of awareness, misunderstandings and myths about the screening process and how it can help. And as we do every trip, we will be bringing supplies, listening to staff concerns, and reviewing the clinic's day-to-day functions. These visits are key to communication and a source of encouragement for both the staff in Port-au-Prince and the U.S. board. Although we are able to use creative solutions to keep costs affordable for the clinic, your donations go a long way to making an effective screening process a reality. Please consider giving by clicking the Donate button on the right side of the page. 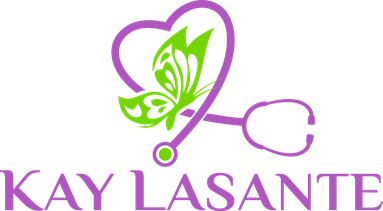 Also, we will update you on progress through the Kay Lasante Facebook page and on this website.